Tsumikore EVO! 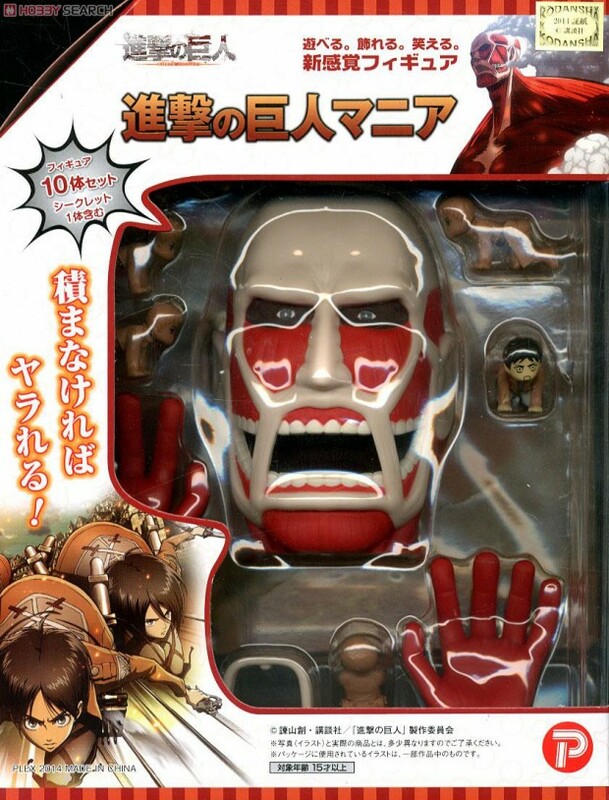 Attack on Titan Playset: Fun for the Whole Gigantic, Skinless & Man-eating Family! Japanese toy maker Happinet has a series called Tsumikore, which consists of figurines that are on all fours. Aside from looking silly – or naughty – the figurines are posed that way to facilitate stacking. The company has released Tsumikore based on a baseball team, Gundam and Ghost in the Shell. This year Happinet released an Attack on Titan-themed Tsumikore. 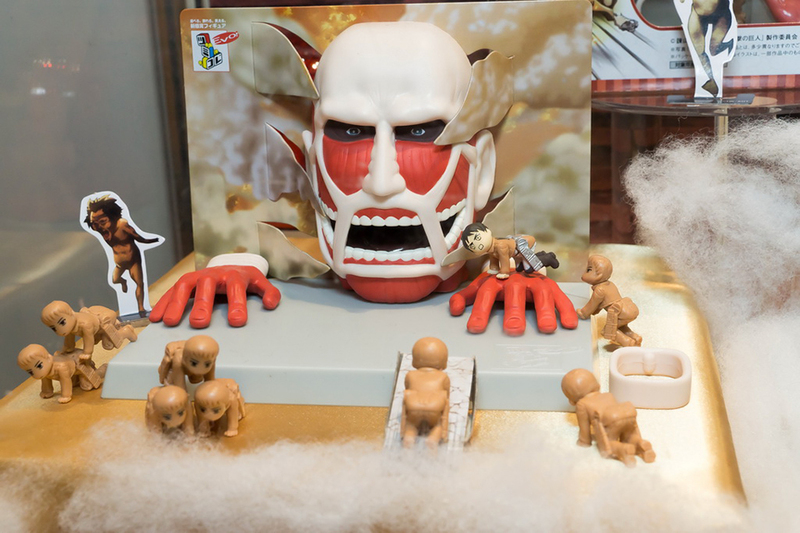 The set includes a figurine of protagonist Eren Yeager along with eight soldier figurines and a bonus secret figurine. But that’s just half of the set! It also has Titan parts – a head and two hands – three small paper Titan standees and a paper launcher. These accessories give you a variety of ways to play. 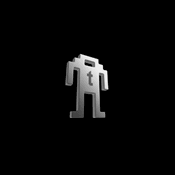 Together with the launcher you can use the figurines as ammo and shoot down the paper Titan standees. You can also use the figurines as monster treats and launch them into the Titan’s mouth. Or you can use the Titan’s hands to pick up the figurines. Then put them in the Titan’s mouth. Or use your own hands to put the figurines in the Titan’s mouth. You can pre-order the Tsumikore EVO! 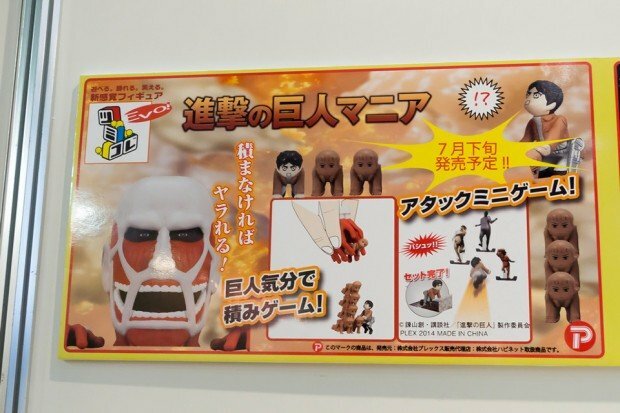 Attack on Titan Mania playset from Japan Trend Shop for $25 (USD) or from Hobby Search for about $19.